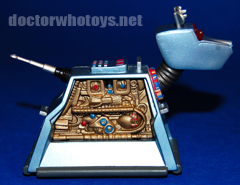 Character Options 1:4 Radio Control Classic K9 Mark II, October 2014. 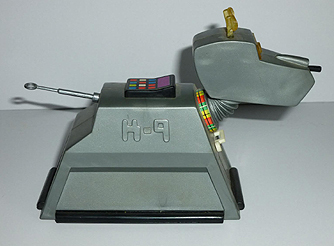 As seen in the classic 'The Invasion of Time' (1978) alongside Tom Baker, the Mark II K-9 has no handle at the back of the head. 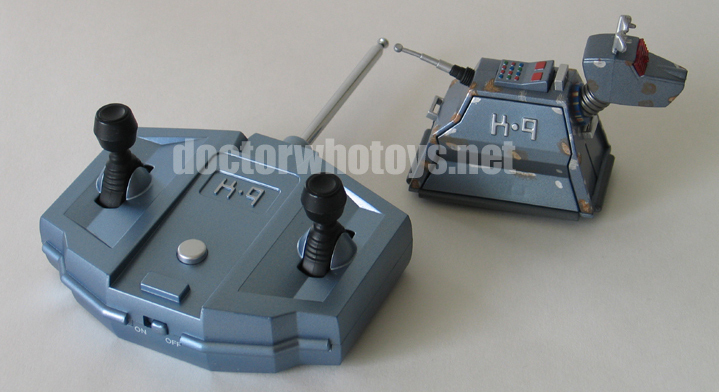 The Mark II RC K-9 features a dual stick push button remote control unit, light up eye panel, motorised movements including ears, removable side access panel, new talking phrases by John Leeson, revised darker grey paint, and blaster with screen accurate sound effects. 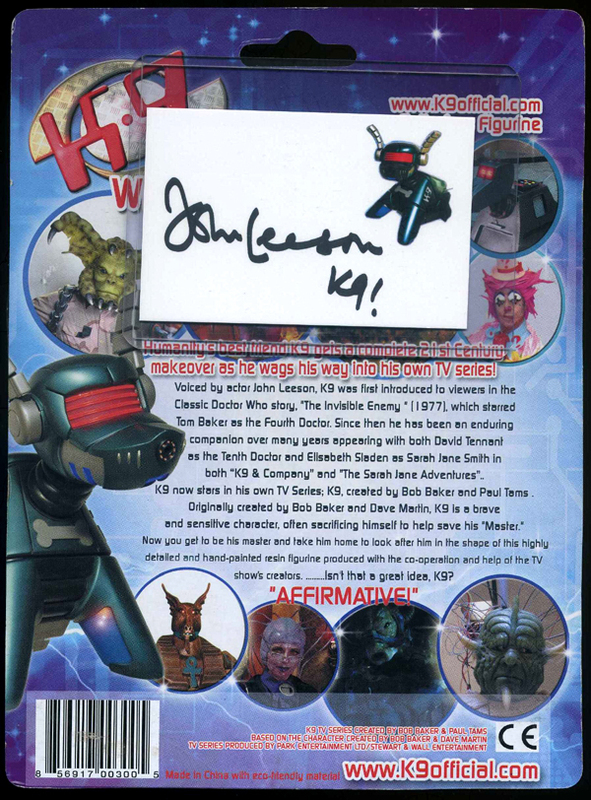 K-9 was originally created by writers Bob Baker and Dave Martin for the Fourth Doctor Tom Baker. 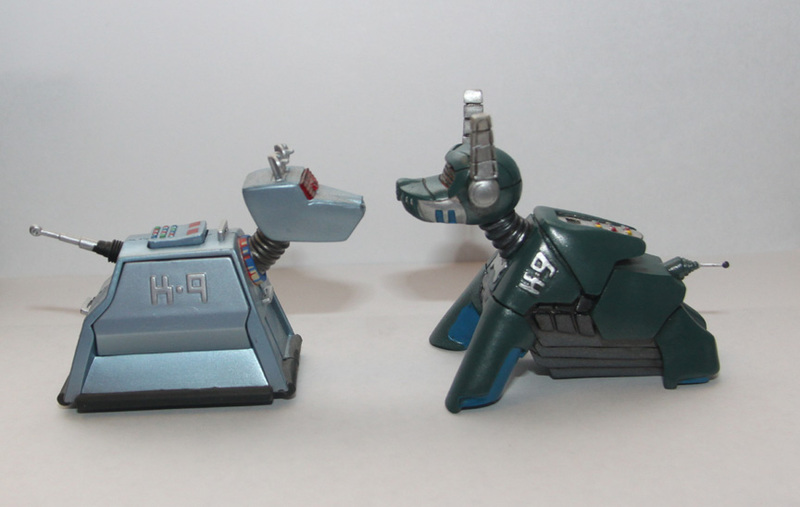 First appearing in the The Invisible Enemy (1977) episodes Professor Marius allows his K-9 robot to travel with the Doctor. Naturally K-9's first words on screen are "Affirmative Master!" 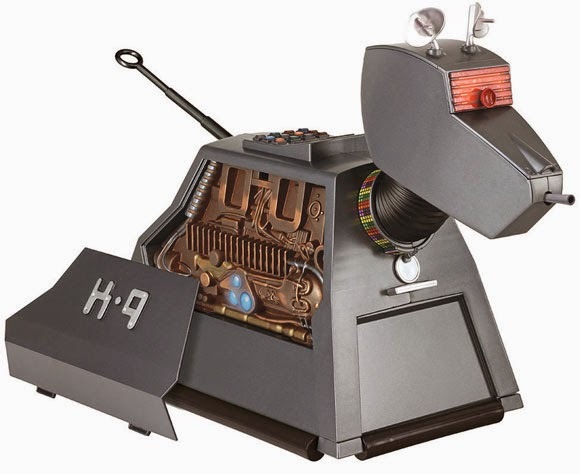 'Mark I' K-9 was designed by Tony Harding and built by the BBC Visual Effects Department. 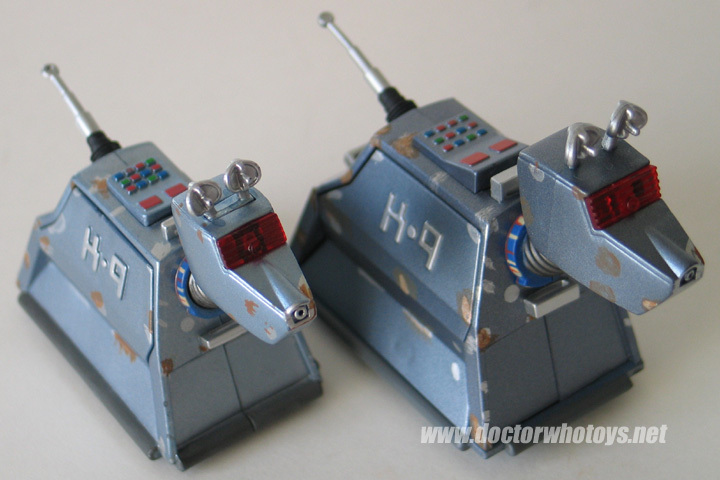 Mark II K-9 appeared in The Invasion of Time (1978) with Tom Baker and the Sontarans. 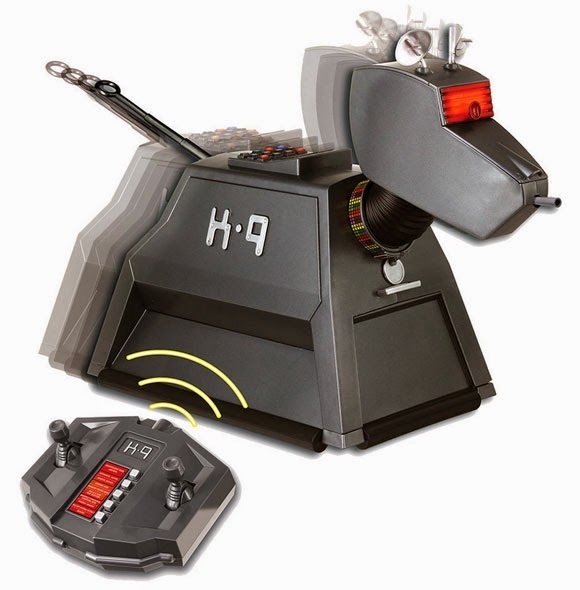 K-9 recently appeared in School Reunion (2006), subsequently guesting in the spin-off show The Sarah Jane Adventures. 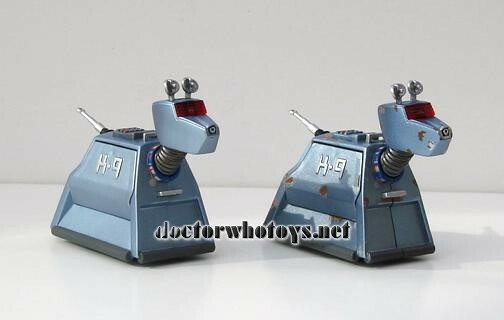 In School Reunion Mark III K-9 has a worn 'rusty' appearance, but at the end of the episode the Doctor gifts a shiny new rebuilt Mark IV version to Sarah Jane Smith. Over the years, many K-9 toys have been made by, amongst others, Palitoy, Corgi, Dapol, Marks & Spencer, Product Enterprise and Character Options. 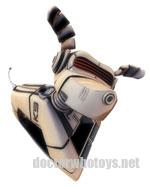 K-9's creator Bob Baker is more recently working with Paul Tams, Park Entertainment and Disney's Jetix Europe on the new TV series featuring K-9. 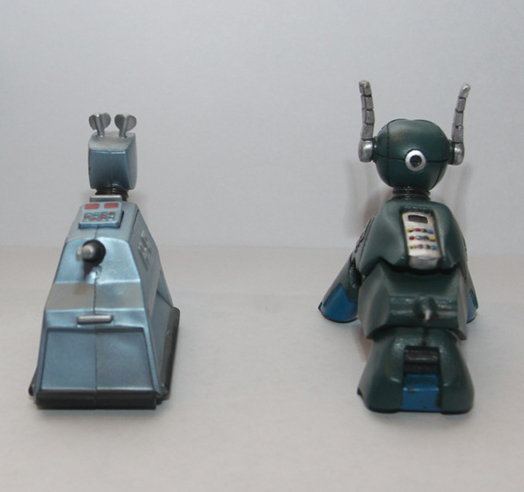 Paul Tams was a designer and illustrator on the Classic Doctor Who series. 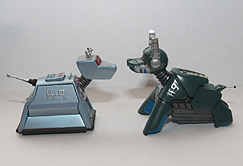 K-9 Adventures began with 26 half hour episodes featuring a mix of live action and CGI. 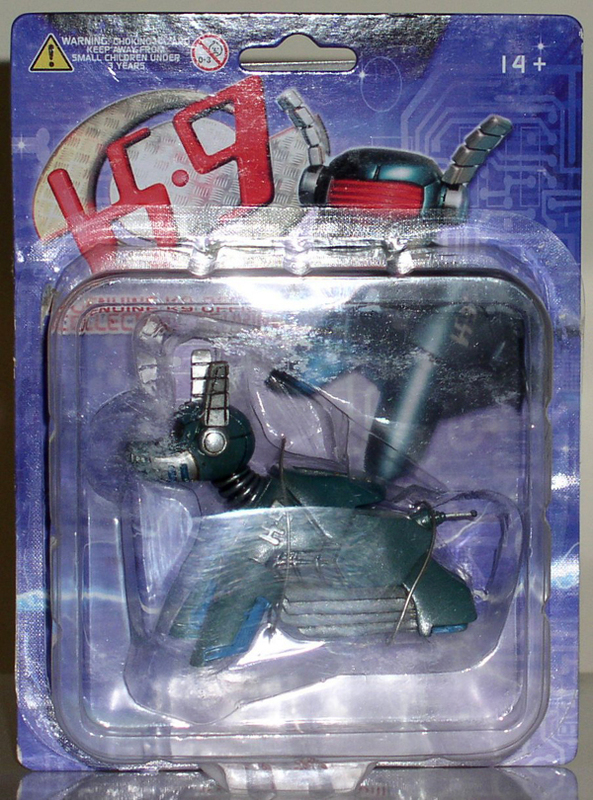 For the new series K-9 has been redesigned with a new 'thinking metal' structure allowing him to morph into different guises. 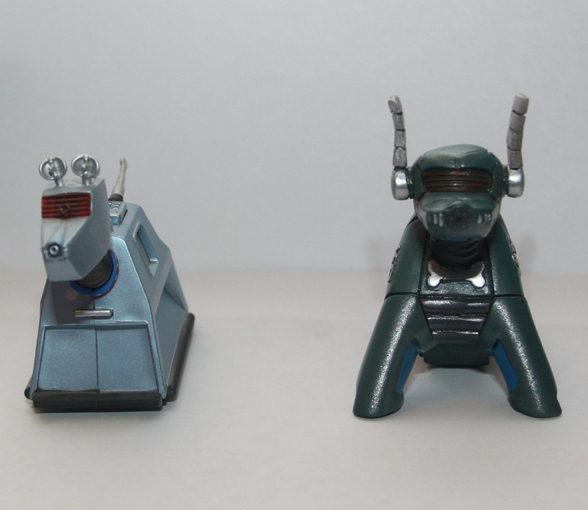 He also has defence, rescue and aqua collars. 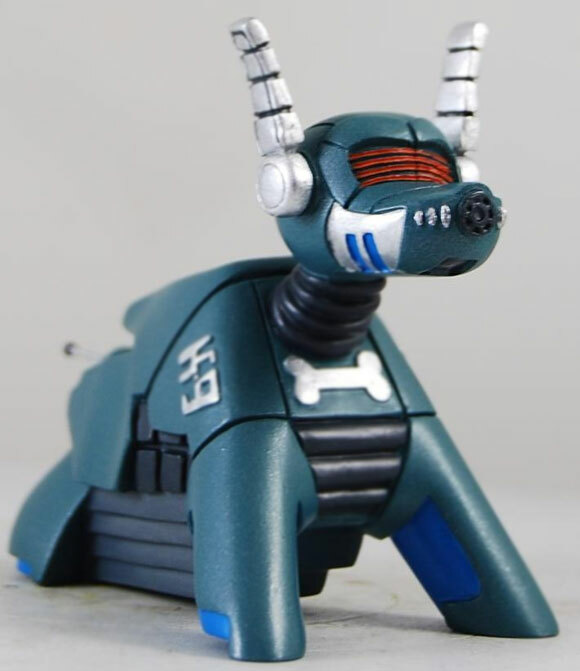 On board the spacecraft 'Platte', 'Slocum' a commodity trader and space gypsy and 'Djinn' a V997(F) android discover an abandoned battle cruiser containing...K-9.